Alex Raij, chef-owner of New York's El Quinto Pino, Txikito and La Vara in Brooklyn, reveals her more precious possessions for this week's Treasured: Alex Raij. Here, she shares tips from a recent expansion. Alex Raij, chef-owner of New York's El Quinto Pino, Txikito and La Vara in Brooklyn, reveals her most precious possessions for this week's Treasured: Alex Raij. 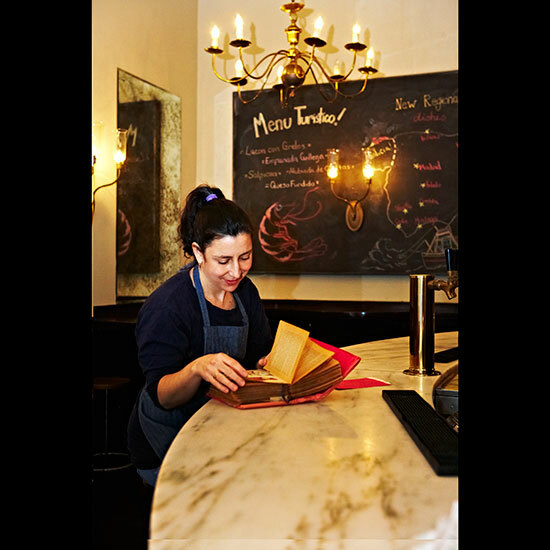 Here, chef Raij, who recently expanded El Quinto Pino's Chelsea space, shares the best tips she's learned from building a Basque mini-empire. 1. Be patient. You never know when you might have an opportunity to expand. 2. Don’t open a super tiny restaurant unless you’re really young, don’t want children or don’t mind being a line cook forever. You can never afford to pay anyone to do cooking if you own a restaurant that’s too small. If you must open one, look for ways to expand it so it can thrive. 3. Plan. When you do get an opportunity to expand, hopefully into an adjacent space, do all the back-end stuff first and then break through. Don’t break ground until you know you can open for business.